HomeMy Travel BlogGoodbye Stockholm – Hello Family! The final stop on our Baltic cruise was Stockholm. Along with the museum that housed the amazing ship Vassa, there were plenty of other things to see. One of the fun activities we tried was a visit to an ice bar. Everything was made of ice. The chairs were ice, the walls were ice, and even the glasses were made of ice. As you can imagine getting a cold drink was not a problem. 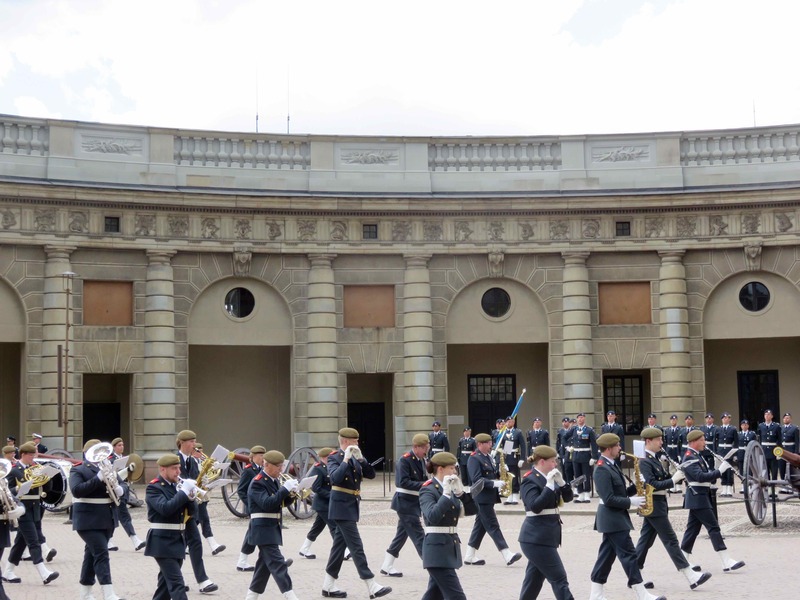 We saw the Swedish parliament, the changing of the guards, and their shopping district. We also took a boat ride through the Stockholm archipelago. With something like 30,000 islands it’s a pretty amazing place. The Swedish love their boats even though they have an unusually short season. With so many islands there’s always a new place to explore. Many of the homes on the islands were impressive. Even though the Swedish economy has a lot of social safety nets, some call it socialism, there seems to be a lot of private wealth. I never thought I’d see the day when you could get a ride in a Tesla taxi. The changing of the guards. Lisa said they didn’t need any extra Pampers. 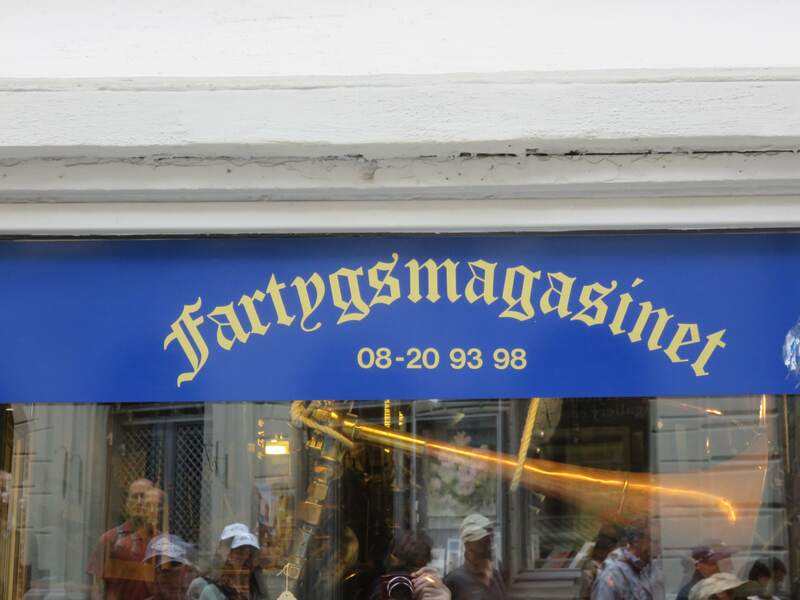 I don’t know what they were selling in this store, but I wasn’t having any part of it. 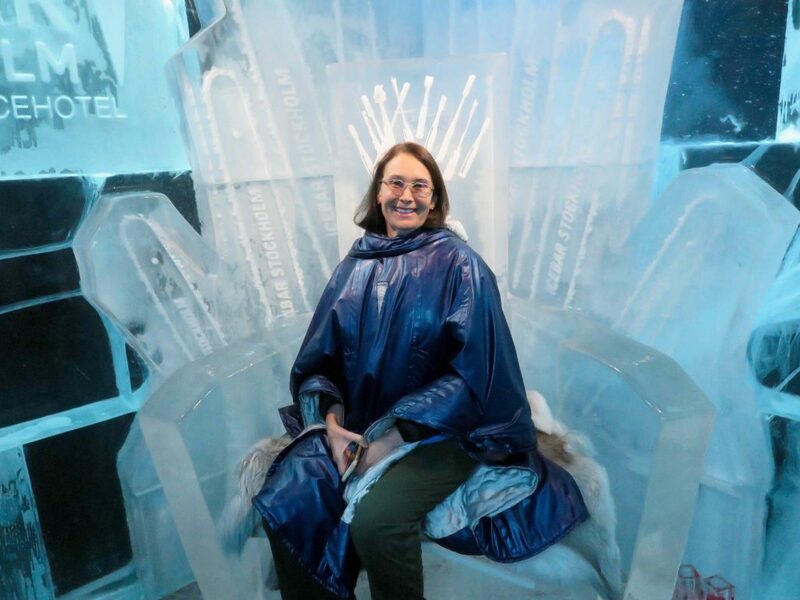 Princess Lisa on her throne of ice. It was time to say goodbye to the Regent Seven Seas Explorer, but we will return. 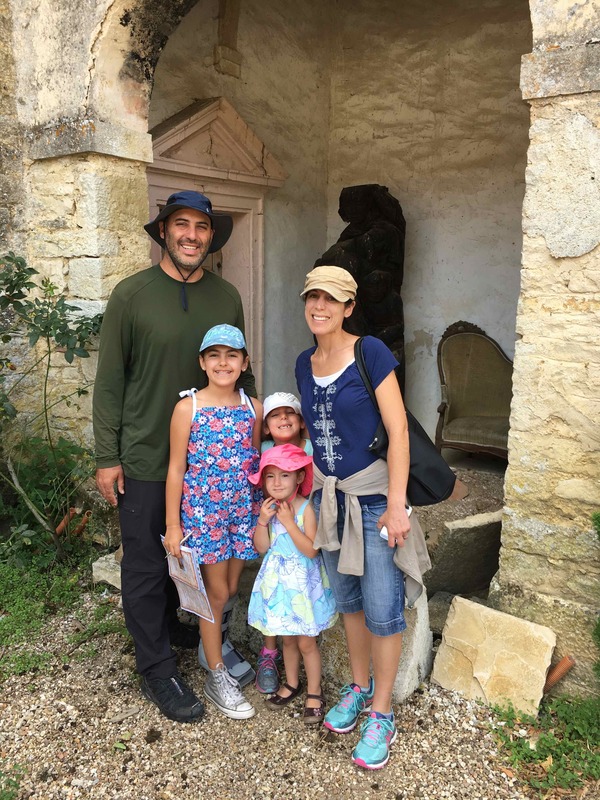 Our oldest son Randy along with his wife Alexis and our three granddaughters would be joining us on Rabelo the following week. Lisa had to have everything perfect for when they arrived. Rabelo was cleaned from top to bottom, stocked with food, and she even bought things to keep the girls busy. After twelve hours of flying, and three hours of driving the family arrived. They were exhausted, and rightfully so. We gave them a quick dinner and everyone hit the sack. The next morning I went into the main salon to see how the little ladies were doing. The toys and games that Lisa had purchased were everywhere. The three little girls were playing with paints at the dining room table. I turned to Lisa and, like the guy in the movie Jaws said, “We’re going to need a bigger boat.” How can three little creatures that are so sweet make such a big mess? 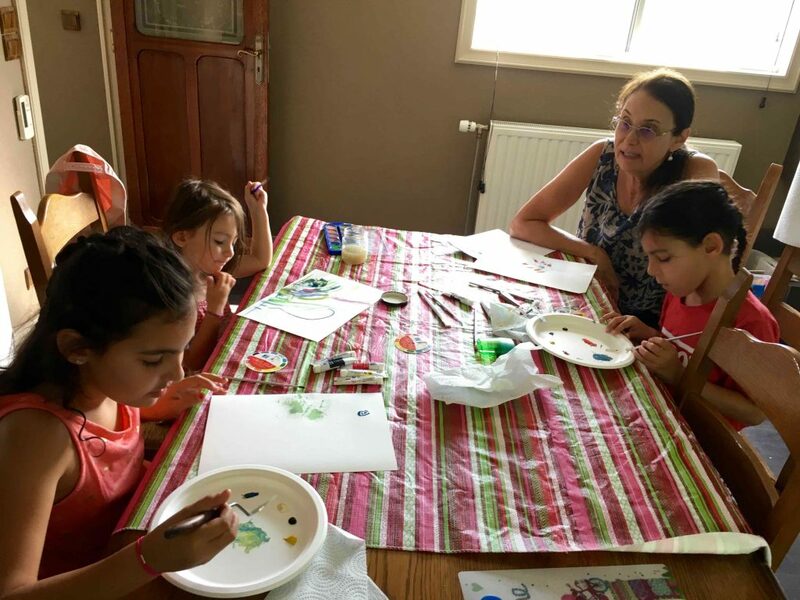 Lisa and the grand kids painting at the dinning room table on Rabelo. 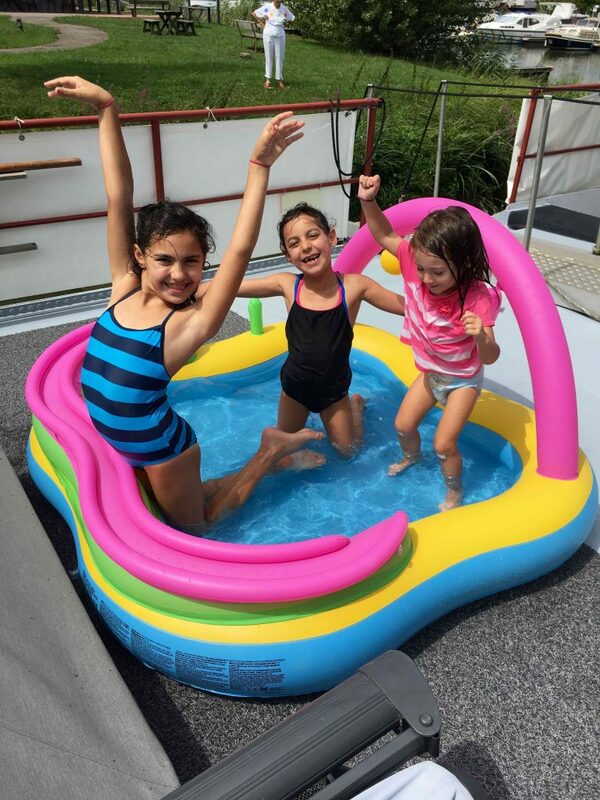 We even had an inflatable pool for our little ladies. Lisa found plenty of things to keep Talia, Zoe and Lucia busy. 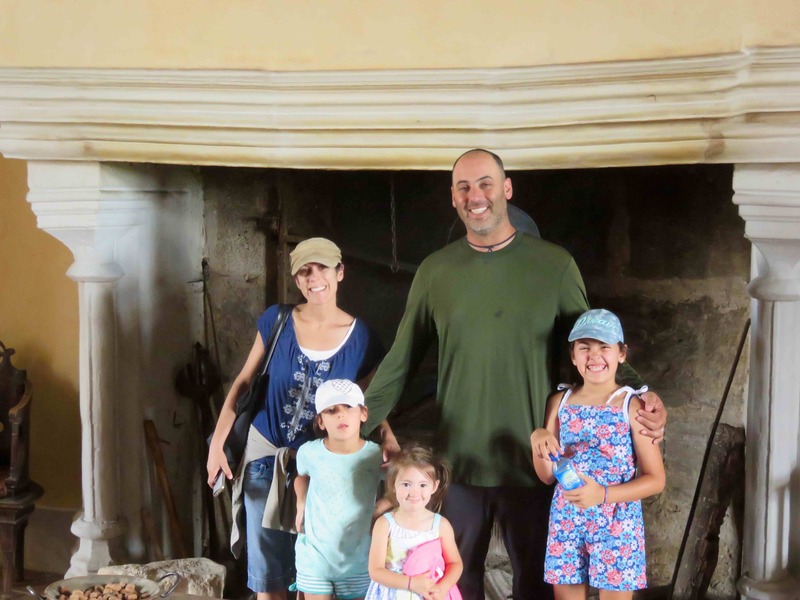 We took them to Chateau de Rosieres, which had a scavenger hunt for children. The girls were given a list of things to find, and ended up crawling all over the castle. 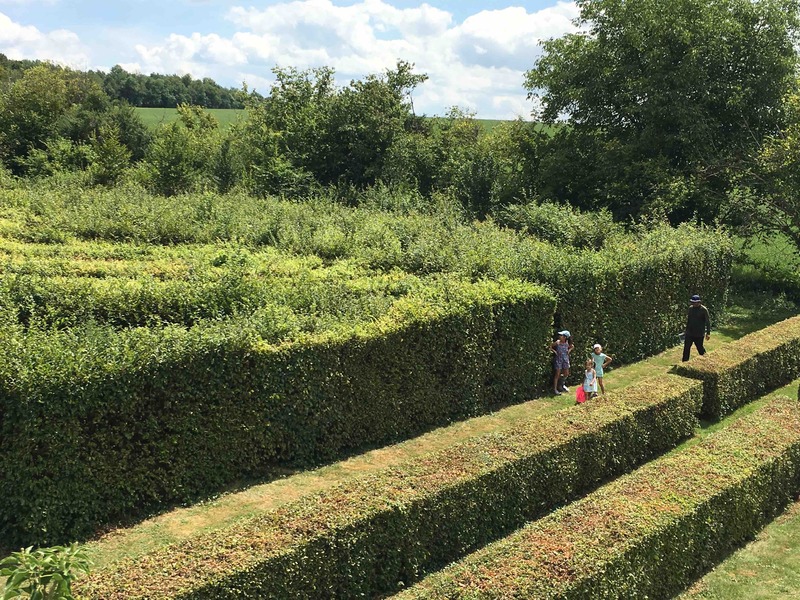 After the scavenger hunt there was a maze for the girls to get lost in. The fireplace in the kitchen was large enough to cook an entire family. Then we took them to a goat farm where they could feed the baby goats. When we arrived there must have been fifty people waiting to get in. They opened the doors to their barn, and everyone rushed in. 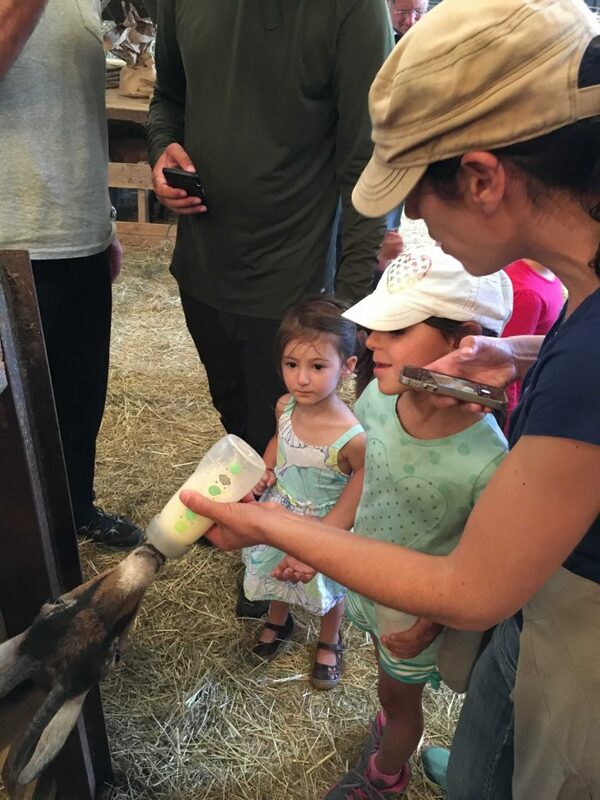 All of the kids were given baby bottles full of milk, so they could feed the goats. The amazing thing was they could have charged a substantial entrance fee, but didn’t. It was free. We did end up buying some goat cheese from the owners, and it was delicious. 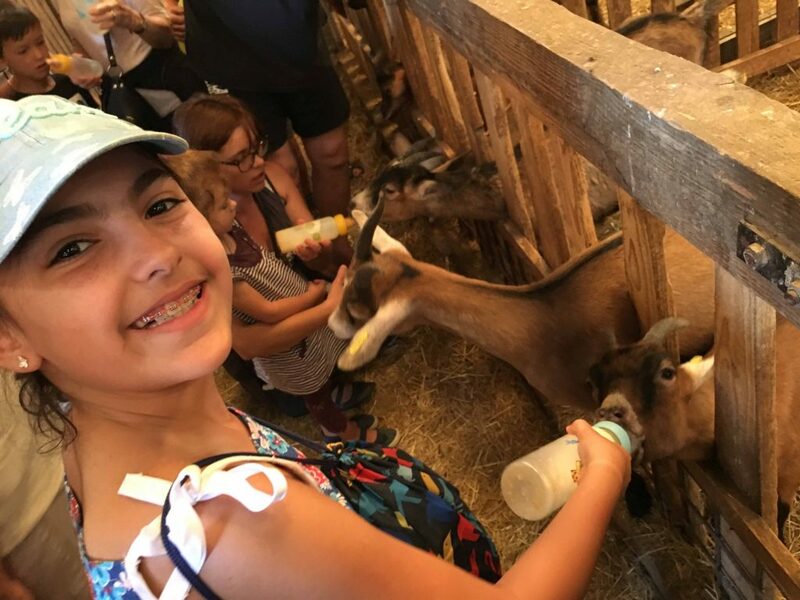 Talia feeding a baby goat. Alexis helping Zoe feed a goat with Lucia looking on. Randy taking Lucia for a buggy ride. 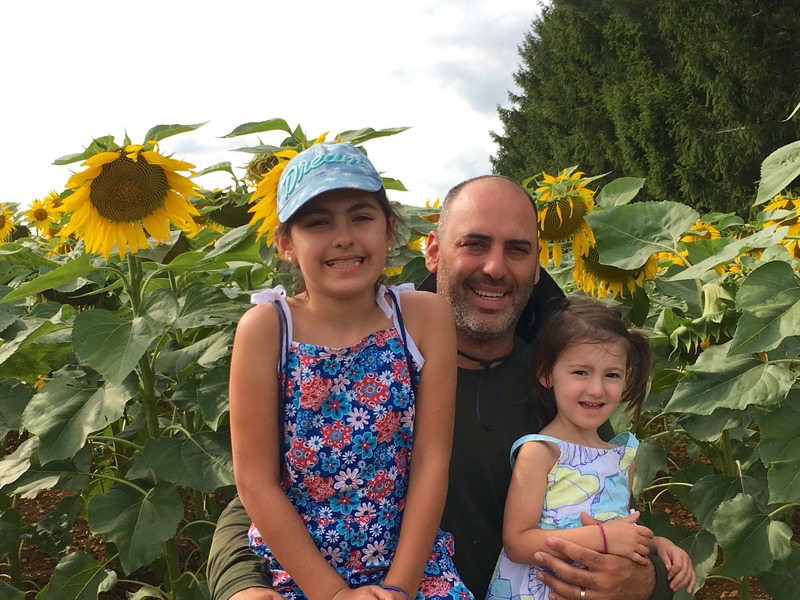 Randy, Zoe, and Lucia lost in a field of sunflowers. 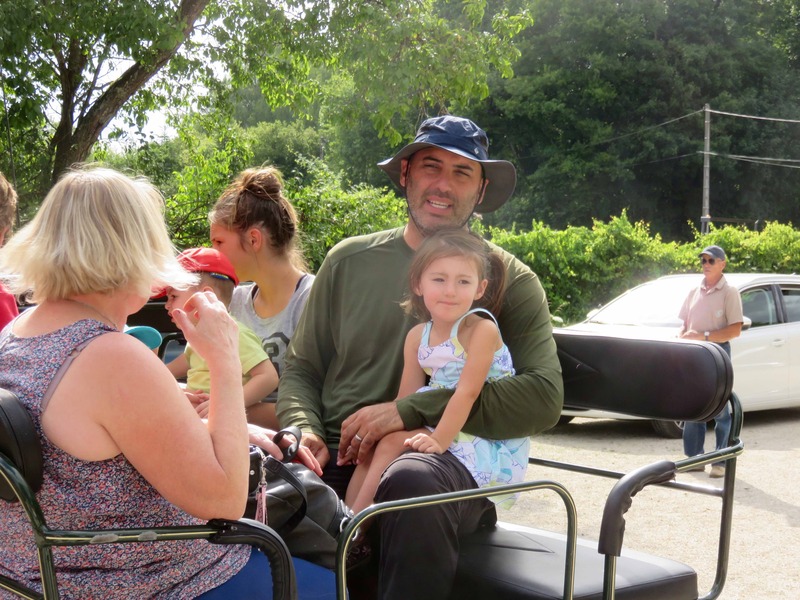 After feeding the goats we took the girls on a buggy ride along the canal. They had a great day, and we were exhausted. Everyone slept well that night. We took the girls to a local playground where they found plenty of things to play on.